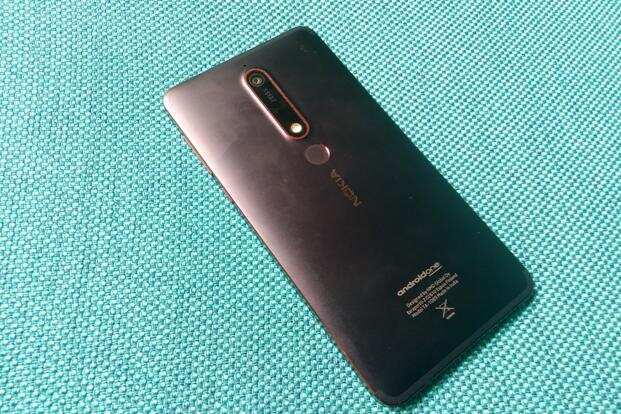 Nokia 6.1 is designed like a slab with flat side panel and sharper edges, which sting a bit in the palm. The second generation of HMD Global’s Nokia smartphones look a lot more polished and up to date than their predecessors from last year. Take the Nokia 6.1, also known as Nokia 6 (2018), for example. Not only it looks more stylish than last year’s Nokia 6 but also offers superior hardware. It is available through offline stores at Rs16,999 and is up against the likes of Asus ZenFone Max Pro M1 (Rs10,999 onwards) and the Xiaomi Redmi Note 5 Pro (starts at Rs13,999). ■ Nokia 6.1 is designed like a slab with flat side panel and sharper edges, which sting a bit in the palm, unlike the Asus and Xiaomi smartphones which have slightly curved edges. The Nokia phone also feels a bit heavy (172g) for its size and wider compared to the two rivals, which feel a lot more comfortable to hold due to their narrow form-factor and thin bezel design. The Asus smartphone offers a 6-inch screen and weighs 181g. ■ In terms of looks, the Nokia smartphone is a notch above others. The matte black finish and the shiny copper lining on the side panel adds an element of style while the sharper look stands out. ■ Unlike the mid-range Nokia 7 Plus, the Nokia 6.1 has regular bezels, resulting in a more conventional 16:9 aspect ratio. The fingerprint sensor is placed at the back while the navigation keys are integrated within the interface. The fingerprint sensor is fast and accurate, but placed more towards the middle than at the top, compelling users to curl their finger a bit to access it. ■The 5.5-inch screen is a lot smaller than the 6-inch screens on the Redmi Note 5 Pro and ZenFone Max Pro M1. However, it doesn’t look inferior in terms of colour reproduction or sharpness and has a resolution of 1,920x1080p. The display is a tad more reflective, affecting visibility in bright light until you crank up the brightness. 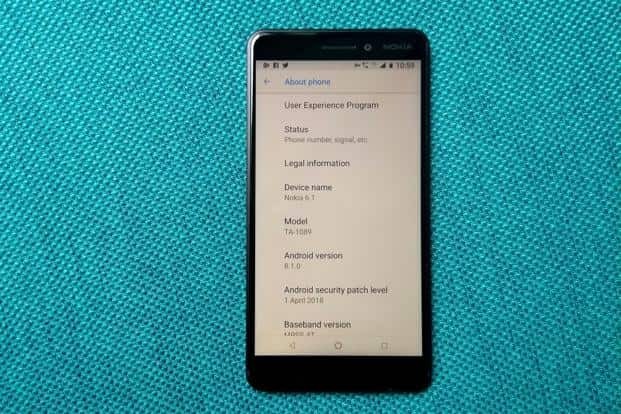 ■ What sets the Nokia 6.1 apart is the Android One connection, which not only brings stock UI to the table, but also the assurance of all Google updates for next two years and unlimited storage access for original resolution photos on Google Cloud. The smartphone runs the latest version of Android Oreo, which is a big bonus and still a rarity at this price point. ■The Redmi Note 5 Pro runs slightly older Android 7.1 but has a more feature packed MIUI 9.5. The Asus smartphone has a lot in common with the Nokia phone as it runs Android 8.1 too with stock Android on top. Asus has promised Android P update when it arrives later this year. ■ Nokia has upped the hardware game this year on all its smartphones. The Nokia 6.1 runs on Qualcomm Snapdragon 630 octa-cote processor which is usually seen on mid-range smartphones such as the Moto X4 (Rs 20,999). Paired with 3GB RAM, it was able to handle most of the social media and video streaming apps comfortably. For power users, the The Redmi Note 5 Pro and Asus ZenFone Max Pro M1 offer a slightly better proposition, with a tad more powerful Qualcomm Snapdragon 636 octa-core processor. ■The Nokia smartphone packs in a 3,000mAh battery which barely lasts a full day of use. If your requirement is higher, the Redmi Note 5 Pro and Asus ZenFone Max Pro M1 are better options. The former has a 4,000mAh battery and lasts a day and half, while the latter packs an even bigger 5,000mAh battery with almost 2 days of backup. ■ For photo enthusiasts, the Nokia 6.1 has a single 16-megapixel camera powered by Carl Zeiss optics. Landscape shots look well detailed and colours also look bright. Both the Asus and Xiaomi smartphones have dual cameras for capturing shots in bokeh mode. In terms of picture quality they are pretty much at par. The Nokia 6.1 has a lot going for it, such as the unique looks, clean Android, a consistent camera and steady performance. It is worth that little extra that you may otherwise spend on its rivals.